Governor Jay Inslee and Rebecca at the Persephone stand. 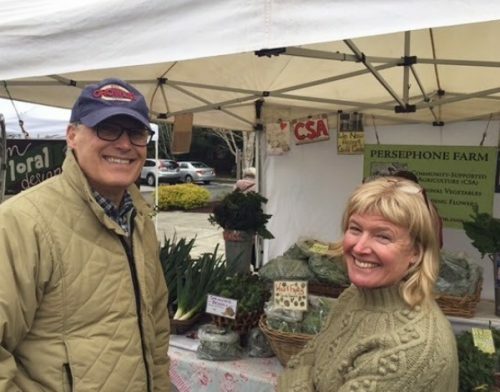 Look who stopped by our stand at the Bainbridge Island Farmers’ Market last week! Governor Jay Inslee was asking for ideas on how to spruce up his leek soup recipe. We were happy to provide some inspiration! We’ve got lots of spring greens, leeks and flowers. Come visit us at the market Saturdays, 9 a.m. – 1 p.m. 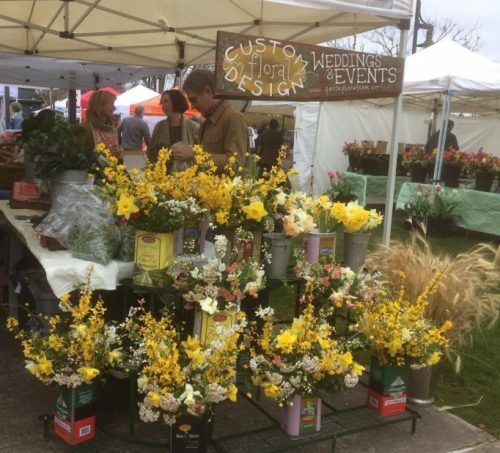 Cheerful flowers on the opening day of the Bainbridge Island Farmers’ Market.